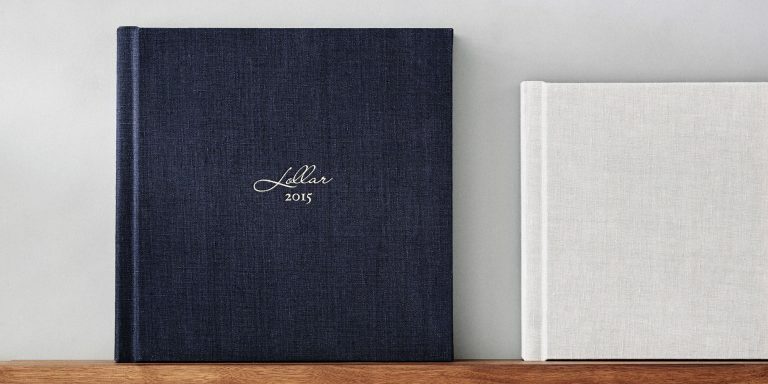 We believe that every couple should have a wedding album. A physical, tangible record of your love story that will be passed on to your children and grandchildren. 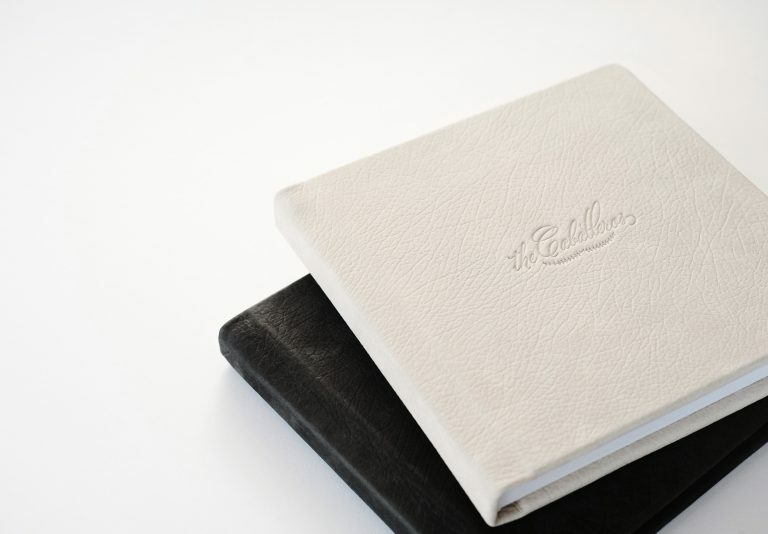 For that reason we offer two different types of albums, our fine art heirloom album and an economy album. 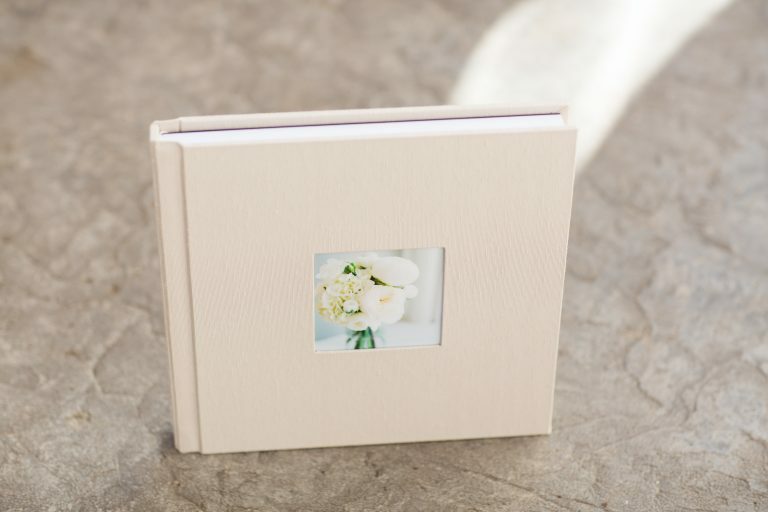 The heirloom album is a handmade flush mount album that features archival prints mounted on a rigid substrate (to create thick pages that can’t be bent), lay-flat binding and a huge variety of layout options including full-page panoramas. 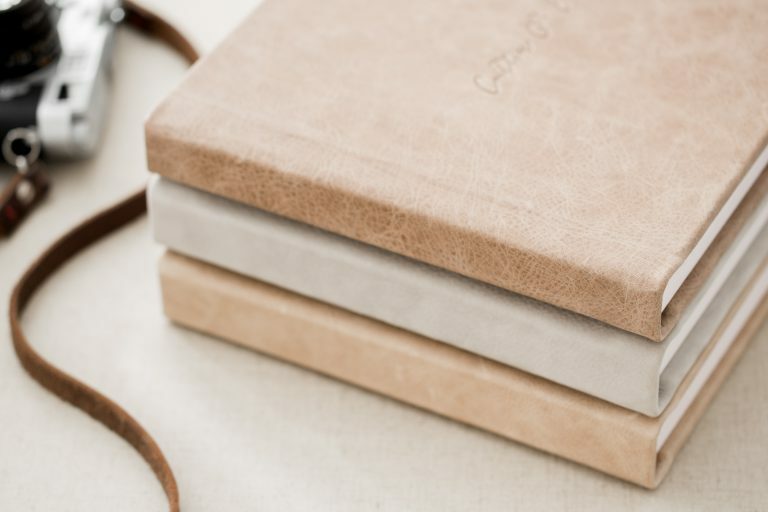 With a huge choice of leathers, faux-leathers and cloths, every couple is sure to have a custom album made to fit their style and taste. Perfect for the budget minded couples, the economy album is a basic lay flat wedding album. The pages are printed on Kodak Endura Professional Lustre archival photo paper. 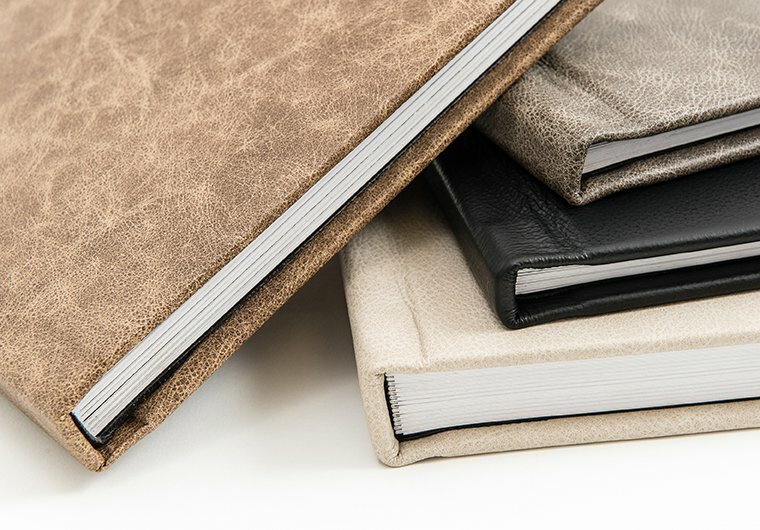 Although not as many choices as the Heirloom album, there are several leather and linen cover options with the economy album.